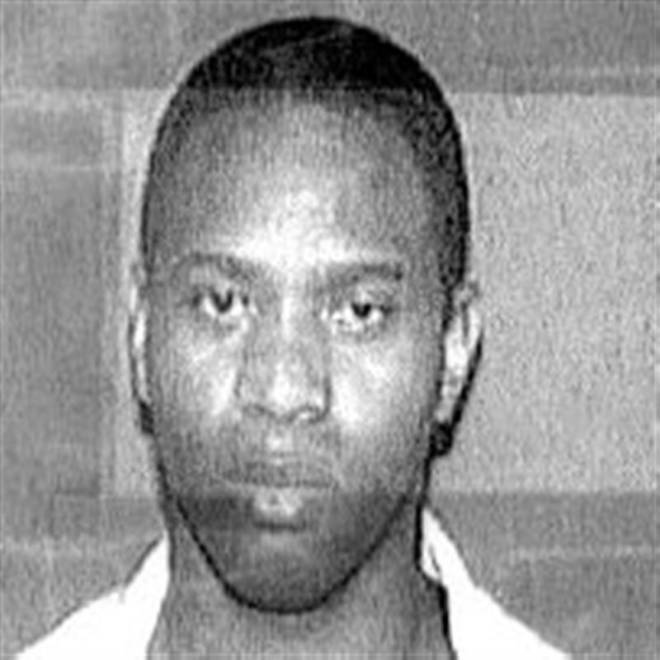 Carl Henry Blue is seen in an undated handout photo from the Texas Department of Criminal Justice. The state of Texas is preparing to execute Blue for killing his former girlfriend in 1994 by dousing her with gasoline and setting her on fire. The state of Texas on Thursday executed a man convicted of killing his former girlfriend in 1994 by dousing her with gasoline and setting her on fire. Carl Henry Blue, 48, was put to death by lethal injection at the state penitentiary at Huntsville, said the Texas Department of Criminal Justice. He was pronounced dead at 6:56 p.m. local time. Blue was convicted of killing ex-girlfriend Carmen Richards-Sanders, 38, in her apartment in Bryan, Texas, as she was getting ready to leave for work. His execution was the first this year in Texas, which leads the United States in executions, and the second in the country. Robert Gleason, 42, was electrocuted by the state of Virginia on January 16.